So here's the thing, Skype just received a major 4.0 redesign introducing a whole new look and feel that would feel at home on any Metro device. It just so happens that Metro's UI is pretty Holo-friendly. Windows Phone influence or no, the new version of Skype should still feel right at home on your Android phone of choice. The new release doesn't usher in a wave of new features along with the new coat of paint, but Skype does boast that it is much faster and reliable, with emphasis placed on improving performance and load times. 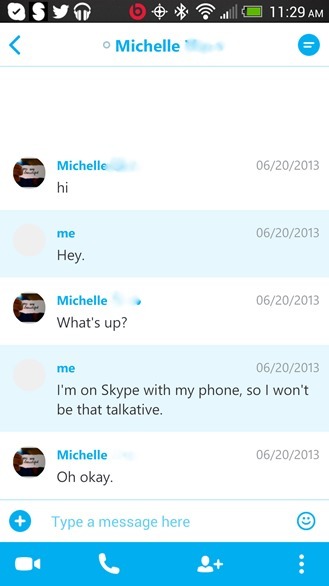 Skype is supposedly easier to use thanks to tweaks to the interface placing recent conversations front and center, minimalizing the amount of time spent looking for the people you actually want to talk to. 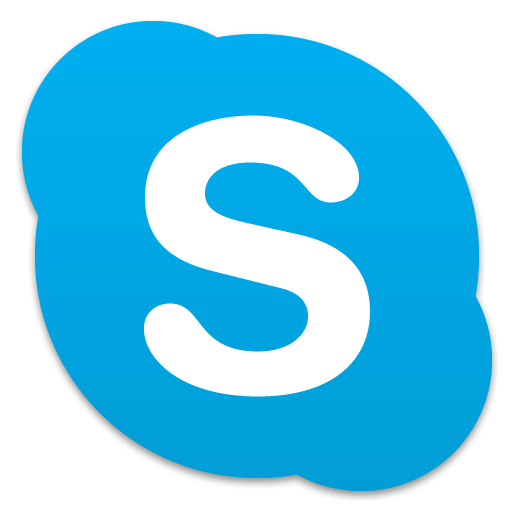 Since Microsoft purchased Skype in 2011, the company has slowly integrated the popular VoIP service in with its Windows and Xbox offerings. 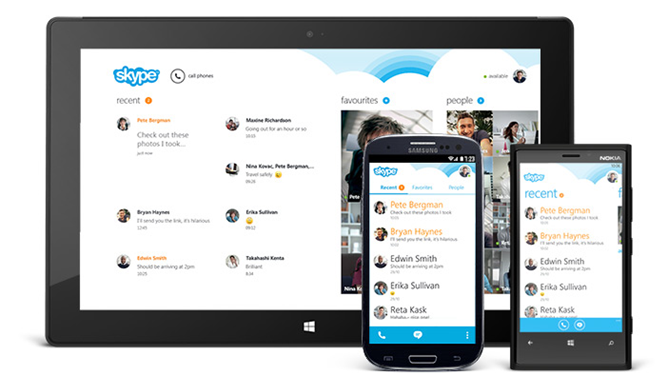 Skype's website already dons an appearance that would look right at home on a Windows 8 desktop. Yet regardless of whether the Android redesign was inspired by work done on the Windows Phone version of Skype, it makes little difference. Android has sported flat-UI elements for a long time now, so this update doesn't look like the fish out of water it could otherwise have been. 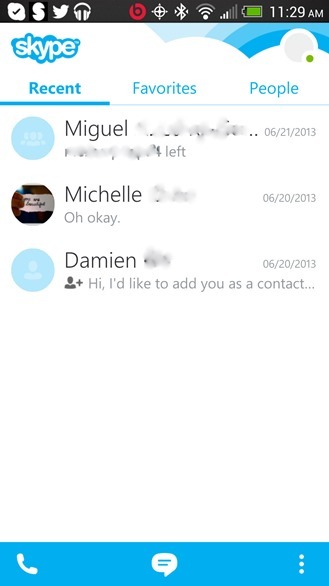 With the upcoming release of iOS 7, which is also transitioning to a flatter UI, Skype's interface can be largely consistent across all three platforms without stirring too much fuss. The update is still rolling out to the over 100 million Android users who have installed Skype, so hold tight for now if it has yet to hit your device.